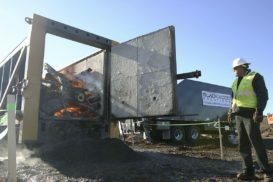 Machine converts forest debris into biochar . . .
By George Plavin, Capital Press – LEBANON, Ore. — A blast of intense heat escapes the Carbonator 500 as Anders Ragnarsson ..